Joe is Chairman, Co-Founder & Partner of Fundamental Global Investors and a Partner at Capital Wealth Advisors, our affiliated family office and wealth advisor. Joe is also the current Chairman of the board at TD Ameritrade, and Head Football Coach & Chair of Athletics at Coastal Carolina University. In his last 10 seasons of coaching college football, Joe has been part of 8 championship teams. In his first five seasons at Coastal, he has led his team to the National Playoffs 5 times and was Conference Champions 4 times. Coastal is 51-15 overall and 45-6 in the last 51 regular season games. He has also received multiple Coach of the Year honors, including the Eddie Robinson National Coach of the Year, and was recently inducted into and received the Lombardi Hall of Fame Award. Joe has been a Football Coach for 24 years, but it’s not a traditional 24 years. He began his career as a coach for 16 years, moved to the business world for over 20, and back to coaching in 2009. Kyle is CEO, Co-Founder & Partner of Fundamental Global Investors and Co-Chief Investment Officer of Capital Wealth Advisors, our affiliated family office and wealth advisor. Prior to partnering with Capital Wealth Advisors and co-founding Fundamental Global Investors, Kyle was a Portfolio Manager at Sigma Capital Management from 2011-2012. Kyle was a Director and Sector Head of the Financial Industry at Highside Capital Management from 2009-2011. Previously, Kyle was a Portfolio Manager and Director at CR Intrinsic Investors from 2007-2009. 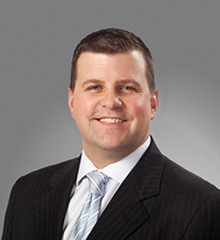 Prior to joining CR Intrinsic Investors, Kyle was a Vice President, Associate Portfolio Manager and Analyst at T. Rowe Price from 2001-2007 and an Analyst at Legg Mason from 2000-2001. Lewis is President, Co-Founder & Partner of Fundamental Global Investors and Co-Chief Investment Officer at Capital Wealth Advisors, our affiliated family office and wealth advisor. Prior to partnering with Capital Wealth Advisors and co-founding Fundamental Global Investors, Lewis was a private investor from 2010-2012. Lewis was a Portfolio Manager and Managing Director at Louis Dreyfus Highbridge Energy from 2008-2010. Previously, Lewis was a Senior Vice President, Portfolio Manager and Analyst at Pequot Capital from 2006-2007. Prior to joining Pequot Capital, Lewis was a Vice President and Analyst at T. Rowe Price from 2000-2006. Lewis worked as an Analyst at Capital Research & Management in 1999 and a Vice President at AYSA from 1992-1998. Bill is Vice Chairman & Partner of Fundamental Global Investors and President, CEO & Co-Founder of Capital Wealth Advisors, our affiliated family office and wealth advisor. Bill is dedicated to building client relationships marked by communication, commitment and a keen ability to clarify complex decisions. Bill’s career has spanned more than 20 years. Throughout that time, Bill has worked with many of the nation’s largest families. Bill leads a team of over 30 professionals focused on assisting families with their asset management & estate planning. Blaine is a Partner of Fundamental Global Investors and COO, Principal & Co-Founder of Capital Wealth Advisors, our affiliated family office and wealth advisor. Blaine evaluates and guides the firm’s overall strategic vision, direction and oversight. His responsibilities include leading a world-class wealth advisory team and providing customized investment management, risk management, financial planning and retirement planning solutions for some of the nation’s largest families. Jeff is Chief Operating Officer & Chief Compliance Officer at Fundamental Global Investors and Chief Compliance Officer of Capital Wealth Advisors, our affiliated family office and wealth advisor. Jeff brings over fifteen years of portfolio management, investment operations, and compliance experience, having managed the company that he founded, ValueTree Investments LLC, since 2009. Previously, he worked as an analyst for SSM Ventures, a Southeastern private equity firm, and for Pittco Management, the family office of J.R. “Pitt” Hyde III – the founder of AutoZone. Richard is Chief Financial Officer at Fundamental Global Investors and of Capital Wealth Advisors, our affiliated family office and wealth advisor. Prior to joining Fundamental Global Investors and Capital Wealth Advisors, Richard was Manager of Finance & Accounting at Orr Safety Corporation from 1995-2015. Richard has earned the right to use the Certified Public Accountant (CPA) designation. Prior to joining Fundamental Global Investors/Capital Wealth Advisors, Lee was an Investment Advisor for Hayden Harper Advisory from 2012-2015. Lee was also a Registered Representative at Capital City Securities from 2008-2012. Previously, Lee was an Investment Advisor at Regis Asset Management from 2010-2012. Prior to joining Regis Asset Management, Lee was a Registered Representative for Regis Securities Corporation and Warner Group, Inc.
Lee currently resides in Mooresville, NC where he is an active sports enthusiast, often found at Lake Norman Tennis Center or on a soccer field.